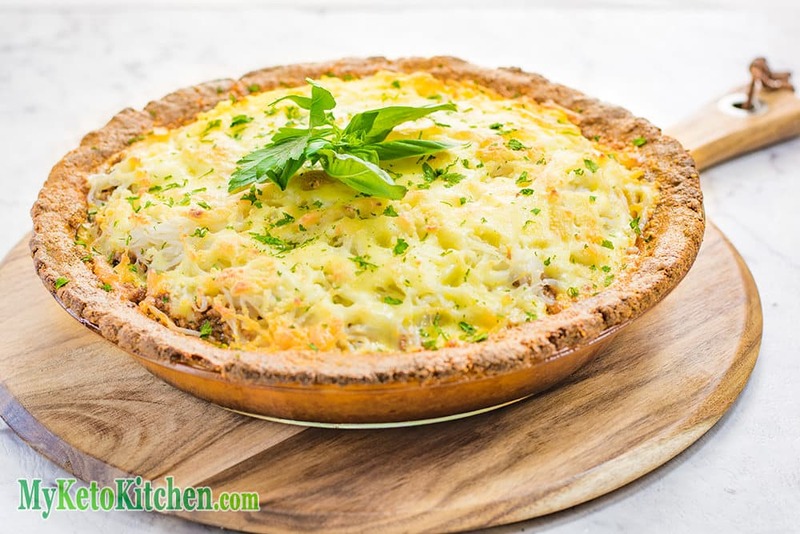 Home » Recipes » Keto Bolognese Pie – With Low Carb Crust – Saucy & Rich! Keto Bolognese Pie – With Low Carb Crust – Saucy & Rich! Using up our leftover Beef Keto Bolognese Sauce has never been tastier! We’ve thrown it into a tasty Parmesan Crust and created a Keto Bolognese Pie. When I was younger, my mum would make Spaghetti Bolognese Pies with our leftover dinner. Not only did I get to enjoy a great childhood dish, but it was wrapped in a crisp pastry crust – and I loved it! Recreating those memories in a Keto version wasn’t as hard as I thought, thanks to Konjac Pasta! I was originally intending to use Zucchini Noodles, but they just became soggy and unpleasant. We’ve also used the Beef Bolognese Sauce to create these delicious Stuffed Zucchini Boats. They’re so yummy! This keto bolognese pie recipe makes 8 serves. Drain the Konjac Spaghetti and rinse well. Place into a heatproof bowl and pour over the boiling water. Leave to sit for 2 minutes then drain well. In a non-stick frying pan over high heat, place the butter and heat until bubbling. Add the Konjac Spaghetti and saute for 3-4 minutes. Spoon the Low Carb Beef Bolognese Sauce into the Parmesan Pastry Crust. Top the Bolognese with the sauteed spaghetti and sprinkle over the Parmesan and Cheddar cheeses. Bake in the oven for 20-25 minutes, until the cheese is melted and browned. If the crust begins to brown too quickly, cover with foil. 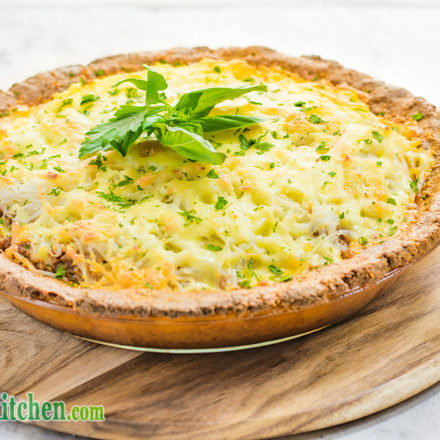 Keto Bolognese Pie - With Low Carb Crust - Saucy & Rich! Using up leftover Beef Bolognese Sauce has never been tastier! We’ve thrown it into a tasty Parmesan Crust and created a Low Carb Spaghetti Bolognese Pie. 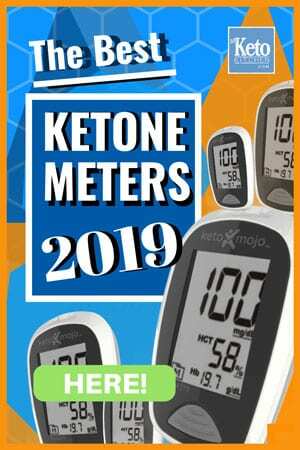 To make a larger batch of this Keto Bolognese Pie recipe adjust the servings above.